I know, I know, the common term is “Foodie Friday” (in fact, I just wrote about a great Foodie Friday event that happens weekly!) but today, was definitely a food-centric day! 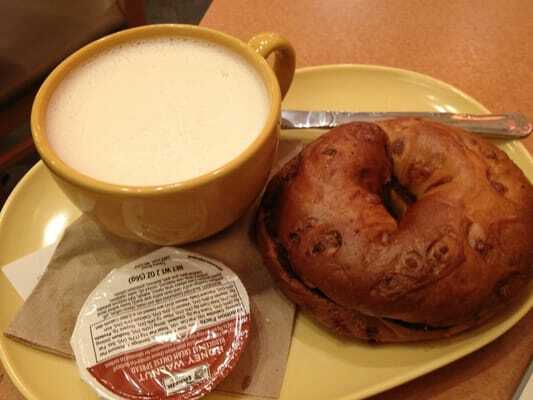 This morning’s early arrival to work was made sweeter (literally) with a french toast bagel and hazelnut cream cheese by Panera. Quite frequently, different building product representatives will provide us with lunch in exchange for an hour of our attention. We also get Continuing Education credits, which are necessary for obtaining and maintaining architectural licensure. Basically, we win, a lot. Occasionally, we get people who’d rather feed us a breakfast and learn or cookies and learn and so working a stone’s throw from Little Italy and a brand new Panera Bread is perfection. And the day only got better from here. 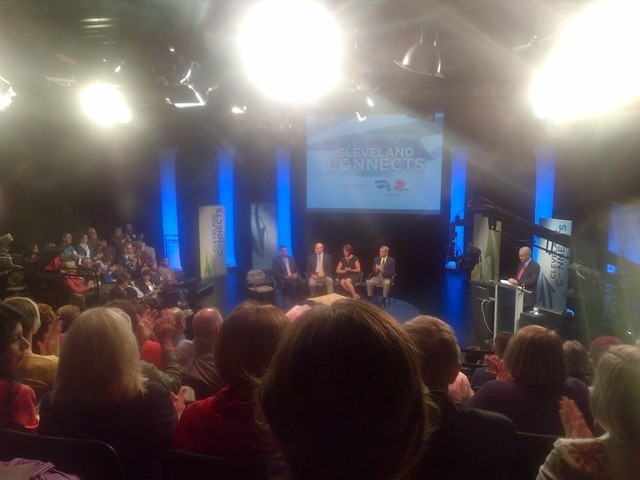 Stephen and I attended the third ‘Cleveland Connects’ live broadcast from the IdeaStream studios tonight, sponsored by PNC and The Plain Dealer. In exchange for participating in a discussion amongst the city’s brightest local foods champions, audience members were treated to a catered spread by Nature’s Bin, out of Lakewood. 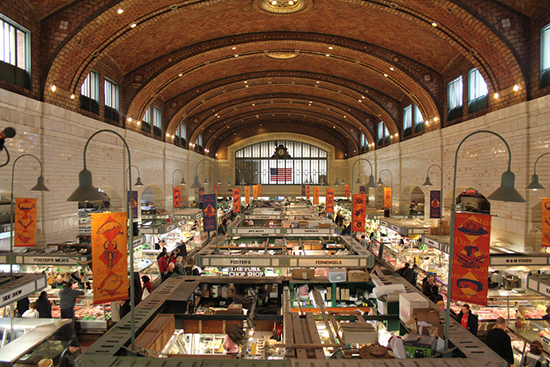 The event was perfectly time with the Mayor’s Sustainabiity Summit and the non-profit Project for Public Spaces’ national conference at the West Side Market this weekend. Fittingly, tonight’s topic was about placemaking and the role urban farms and restaurants play (can, or should play) in rebirthing Cleveland neighborhoods. Moderated by the Chief Editorial Writer at The Plain Dealer with a special presentation by the Senior Director of Markets for PPS in NYC, the conversation between giants like Great Lakes Brewing Co.’s founder, farmers and CDC leaders brought issues and solutions to the table. Clearly, the best practices of the future hearken back to a time when people did shop at local butchers and grow tomatoes in their backyard, but those were days well before we became accustomed to quick and easy access to things like Folgers and Wonderbread. After so much talk about food, I was uber curious what everyone’s next meal was going to be? How many people emerged from the talk at close to 8pm and thought to themselves “let’s grab a bite at Rascals?”. Hmm. Earlier in the day, during lunch naturally, I was scanning Cleveland.com’s pages for Thursday happy hours. 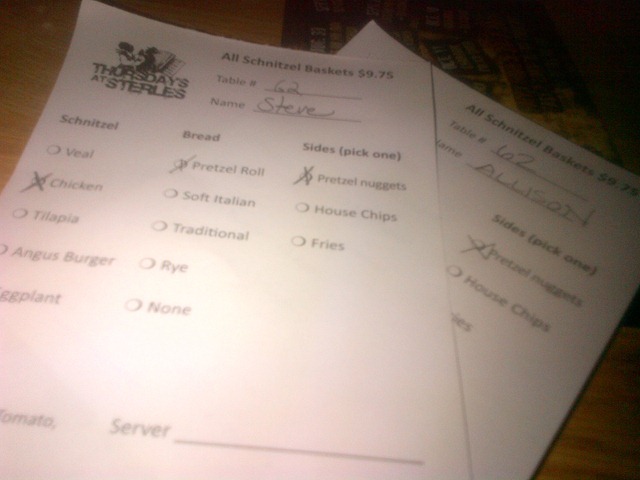 Of course, Thursday is the new Saturday night for many people, and so specials abound, but one in particular caught my eye: Thursdays at Sterle’s. Just east of Downtown, on E.55th and Superior, this old Slovenian Hall stands out like a tree on the Great Plains. Not unlike Empress Taytu, a gem of an Ethiopian restaurant, this place is bordered by some of the city’s poorest. But that’s what makes Cleveland Cleveland – the strong immigrant populations that fight for their right to honor their heritage against the grit. 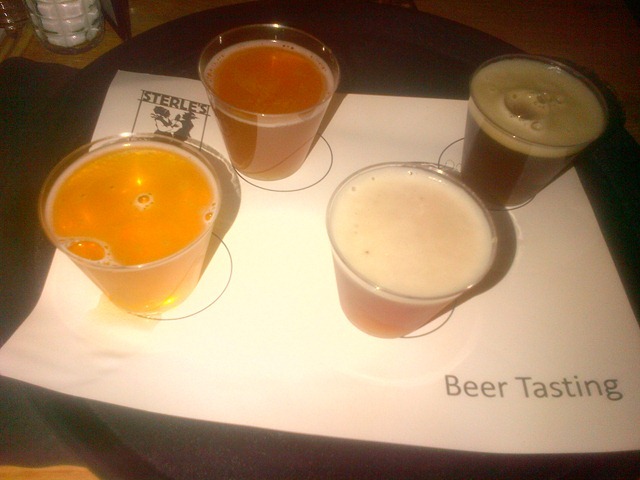 Even though I had never heard of Sterle’s, I knew it would be the perfect dinner spot. 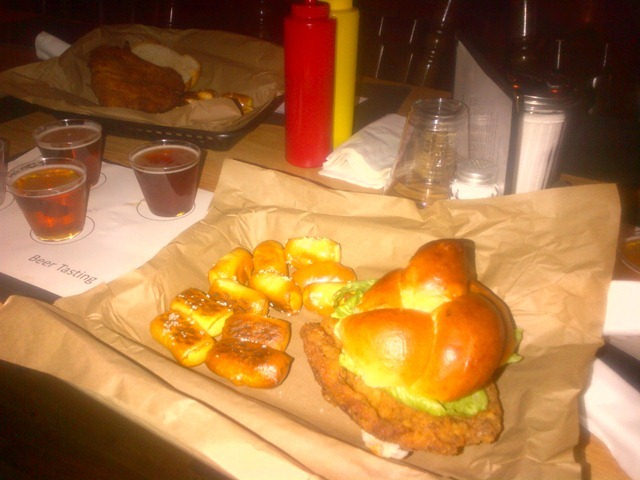 From 7-10pm and for under $10 a variety of schnitzel and pretzels can be loaded with authentic picked beats and sauerkraut. $5.50 flights of beer – from seasonal local brews to German Pilsners – compliment the hearty fare. Earlier in the night, 12 drafts are discounted. While our server, Josie, was perfectly sweet, overall the service was lacking and confusing. It took us a while to place our orders and when my “veal schnitzel” arrived, my bun was meat free, as though she had been a bit too eager to grab it from the kitchen. She brought us popcorn in apology. Despite the less than attentive service and the average food – certainly not the best Eastern European fare I’ve had, but since I lived there and am half Hungarian, I’m really a tough critic! 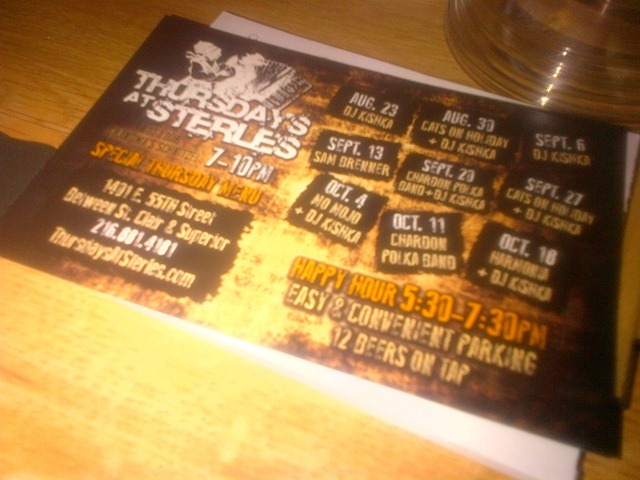 – Thursdays at Sterle’s is a winner in my book for the entertainment value alone. From late summer through October, polka bands and djs rock the stage and people dance! Everyone dances! 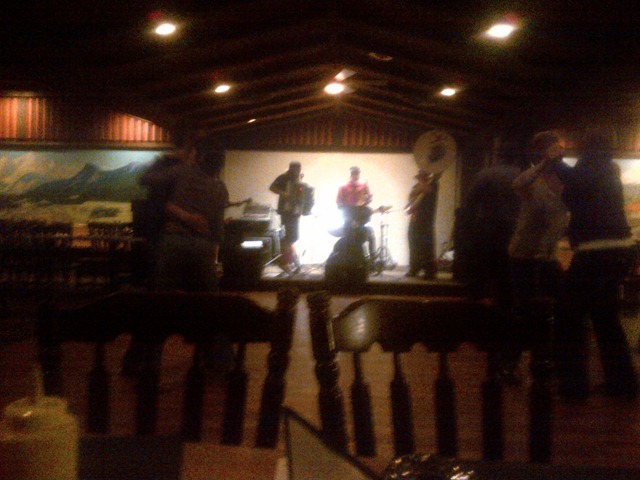 Tonight, we were treated to the Chardon Polka Band, a charming group of young men who were really talented and played music far from the polka you might imagine. After all, Sterle’s slogan is “not your Grandma’s schnitzel”. It’s never been a better time to be a socialite! 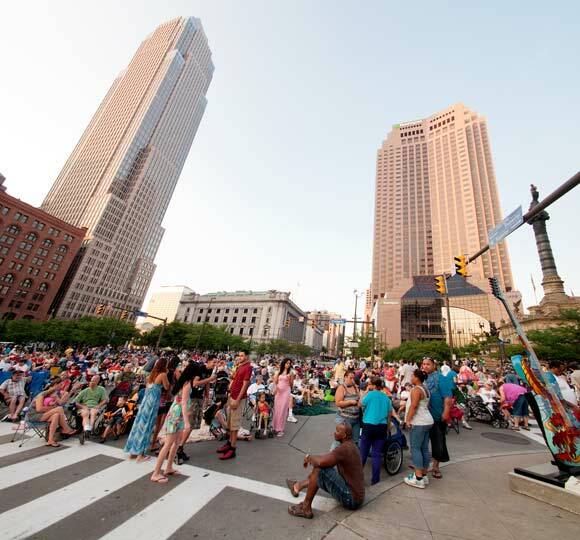 Check out this week’s earlier post for great events happening in our city this weekend!